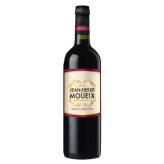 Établissements Jean-Pierre Moueix, founded in 1937, is internationally-known for its expertise in the wines of Pomerol and Saint-Emilion. Their offices are situated on the bank of the Dordogne, where it flows through the city of Libourne. Owner of ten châteaux, including the incomparable Château Lafleur-Pétrus, the firm also contributes to the excellent reputation of numerous other châteaux through management and consultation. Early profits were invested in wine-producing properties, beginning in 1952 with the purchase of Château Magdelaine, a Premier Grand Cru Classé of Saint-Emilion. Later acquisitions include Châteaux La Fleur Pétrus and Trotanoy in Pomerol, to mention only the most famous. By the 1960s, Établissements Jean-Pierre Moueix had become one of the largest houses of Bordeaux. The pursuit of growth necessitated the purchase of larger and larger facilities. Thus, the old central cellars, which have always been the place where visitors and clients are received, were expanded by purchasing a number of neighbouring cellars. Their surface area now exceeds 25 000 square meters. As was the case for all the great houses of Bordeaux, Établissements Jean-Pierre Moueix suffered greatly from the 1972 crisis, when the bottom fell out of the Bordeaux futures market due to a poor vintage. Individual efforts of each employee and conservative management allowed the company to regain balance and resume growth. Moueix focused on the wines of Bordeaux’s right bank and conducted its affairs solely at the production and wholesale level of the industry. Since the company founder, Jean-Pierre Moueix, passed away in March 2003, control of the firm has been assumed by his son Christian Moueix. 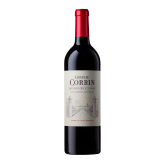 Christian Moueix also owns the Dominus Estate in the Napa Valley of California. Christian Moueix was named “Man of the Year” by Decanter magazine in 2008.